One World Rental is a global short-term IT Rentals partner providing you with IT app and technology solutions. Cutting-edge hardware devices available from a range of iPads, MacBook Pro’s and Windows laptops. One World Rental holds an immense group of high quality stock for worldwide deliveries for business and corporate clients across borders. 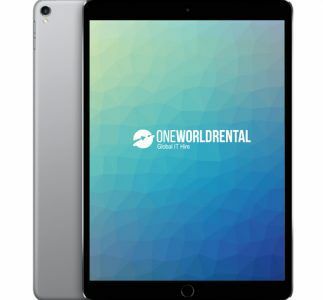 One World Rental has a consultative approach to every rental service, by understanding client requirements and tailoring rentals to specific needs, whether you need 50 iPads and iPad stands for a small trade fair or 1000’s of iPad’s for large exhibitions, we can meet your business needs. We are trusted experts in delivering short-term IT hire for all events for global clients. We provide IT Rentals Solutions on a global scale, our head office is based in UK with supporting offices based in Scotland, Geneva and Paris. Our Middle East and Africa projects are typically led by our MENA regional offices based in Dubai UAE. Our supporting offices are based in Cairo, Riyadh and Kuwait. For projects based in USA, Canada, Brazil and Mexico our localised office is based in New York. Requests from the Far East is handled by Hong Kong office. One World Rental are experts in tailoring your rental requests in line with your business needs. As a unique consultative rentals partner for IT hardware our team is able to make specific deliveries with customized hardware, add-on solutions, accessories, timed deliveries and on-site support staff in over 50 countries. Our dedicated account managers and 24/7 support ensures that you will have no problems during the entire rental process. We have a 97% satisfaction rate from our clients and partners, we believe in maintaining strong and trusted long-term relationships. One World Rental are experts in tailored and customised solutions for every single rental. As a unique consultative rentals partner for IT hardware our team is able to make specific deliveries with customised hardware, add on solutions, accessories, timed deliveries, on-site support staff in over 50 countries, with dedicated account managers and 24/7 support as standard. Our process is simple and works around the project needs. With our 97% satisfaction rate our retention is high enabling us to maintain long term relationships and by knowing our clients better we can deliver seamless deliveries around your needs.